It is no secret that the overall U.S. economy continues to face a great deal of uncertainty and that is creating an environment that doesn’t lend itself well to much near-term optimism. However, zoom into the architecture and engineering space and a story of slow and steady growth and optimism is beginning to emerge. According to the latest Quarterly Market Trends (QMT) report from PSMJ Resources, Inc., firm leaders have good reason to start thinking that brighter days are ahead. Since 2003, PSMJ has surveyed A/E firm leaders on a quarterly basis regarding what they are seeing in the marketplace. The survey queries respondents on conditions in a variety of markets and submarkets as well as overall health of revenue, backlog, and proposal activity. The results of this survey are compiled in the QMT report each quarter. • Backlog growth accelerated, continuing the trend we have seen for the past four quarters. • Revenue growth also accelerated, following the trend in backlog growth. • Proposal opportunities were greater than last quarter, continuing a trend that has seen increasing proposal opportunities for the past nine quarters. • Some of the major A/E markets, such as Housing, Commercial Developers, Industry, Energy/Utilities, Water/Wastewater, Environmental, Transportation, and Health Care, showed more proposal opportunities this quarter than last quarter. • Proposal opportunities increased in every region. The highest rates of increase were in the Mountain Region, South Region, West Region and Canada. Despite the encouraging news coming out of PSMJ’s latest QMT report, pockets of softness remain. More specifically, the Education and Government Buildings markets showed declining proposal opportunities. In addition, while overall proposal opportunities continue the upward movement, the rate of growth is slowing. 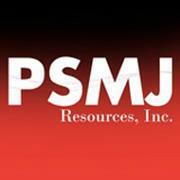 To learn more about PSMJ’s QMT or to participate in the next survey, call 800.537.PSMJ. Subscribers to PSMJ’s namesake monthly newsletter receive the full QMT report in their mailbox each quarter. This report includes our take on the latest movements as well as data broken out into key market and geographic segments. To keep your finger on the pulse of recovery in the A/E space, visit www.psmj.com and subscribe to PSMJ today! Become a Master of the Client “Touch"
Reaching out to your clients is not an optional activity for a project manager. You have to stay in contact, even after you have finished a project. A client touch is any contact made with the client in an effort to strengthen the relationship. Try to keep these contacts quick and meaningful. A quick “touch” should let the client know that you are thinking about them and the things that might be important to them. The idea is simply to reach out in a meaningful way, making a quick contact with the goal of making the client feel comfortable working with you. Clients are going to work with those they feel comfortable working with. Don’t try to become best friends with all of your clients. That’s simply not realistic. And, clients seldom have that amount of time to invest either. So, begin a consistent pattern of reaching out to your clients in a meaningful way. Though a few of the suggestions below might in reality take a few more than two minutes, I believe you will agree they are all geared towards adding maximum value in a minimum amount of time. By incorporating a consistent pattern of reaching out to your client in a meaningful way, you will quickly gain the reputation of being a “value adder”! Learn more tips for becoming better at client touches so you can bring in the next big project to your firm! PSMJ's A/E/C Project Management Bootcamp is the world's most successful PM training program in the industry! This Bootcamp is a revolutionary training like no other--through interactive case-studies, real-world examples, and proven solutions, you will foster innovation, elevate communications, increase productivity, and improve your firm's bottom line. The American Institute of Architects’ Architecture Billings Index indicated weak business conditions for the month of May. This marks the second month in a row of decline; a discouraging sign considering the 5-month recovery streak in the months prior. While these setbacks don’t necessarily spell the end of economic improvement throughout the industry, it does show just how rocky the road to recovery can be. The Architecture Billings Index registered a score of 47.2 in May; another substantial decrease in billings after the 47.6 registered in April. It isn’t just the decline in billings that is of concern; inquiries for new projects have slowed considerably to the lowest rate in almost two years. ABI results by region and market sector are once again are varied, however, inflation and increasing unemployment rates have been hurting business conditions across the board. Regionally, firms in the Northeast and Midwest are seeing the steepest decline in the country. They have reported improving conditions since last fall, but that trend has ended with the recent downturn over the last two months. Declines in the South and West have been less severe. Firms that concentrate primarily on commercial/industrial and institutional sectors have seen a sharper drop in activity compared to those who specialize in residential work. While government efforts are continually being made to increase jobs and improve economic conditions, GDP growth has slowed to just 1.8% and estimates for economic growth have been reduced to less than 3% for 2011, in turn lowering expectations for 2012. Nonfarm payrolls increased by only 54,000 in May after growing by over 180,000 per month on average during the first four months of the year. This raised the national unemployment rate to 9.1%, the highest we’ve seen this year. Inflation is also becoming a major concern in this economy. Producer prices have risen at about a 6% pace though the first five months of the year, although much of that reflects an increase in energy costs. Construction costs have also been quickly rising, largely due to increasing energy prices. According to the U.S Department of Labor, the cost of construction materials has increased by 7.5% between May of 2010 and May of 2011, and metal prices – steel, copper, and aluminum – have all increased at a double-digit pace. Despite all the economic turmoil and constantly fluctuating workload, firms remain optimistic about growth in the near future. At least half of firms expect to expand the geographic area that they serve, the architecture services they offer clients, or the facility types they design. One third of firms plan to begin offering or dramatically expanding their building information modeling (BIM) services, while fewer than 20% have similar plans for integrated project delivery (IPD) services. Around a quarter of firms plan to expand their nontraditional services (like consulting, expert testimony, or facilities management), expand the design disciplines they offer (interiors, landscape design), or begin offering or expanding their design/build or construction services. One in five firms plans to look for merger or acquisition partners. By region, the ABI breaks down as follows from April to May: Northeast is down 47.6 from 51.2, South is down 47.5 from 48.3, Midwest is down 45.9 from 51.1, and West is up 49.3 from 47.7. By market sector: Institutional is down 44.9 from 45.9, Commercial/Industrial is down 46.5 from 49.9, Residential is down 53.6 from 53.9, and Mixed is up 49.1 from 45.2. In the industry, you never know if there will be stiff competition for a P3 project… or, surprisingly, none at all! ◦ If you were successful at identifying the "lead" early enough and become part of a development team, you may find yourself in a situation with very little, if any, competitors. ◦ If, on the other hand, you missed the "lead" as many often do in P3 developments, you’ve lost a project opportunity. So, how do you avoid losing the project opportunity? Take the time to understand an agency’s or jurisdiction’s policies related to P3 development. For many, enabling legislation provides a framework of what must be done to utilize the delivery method. But, it stops short of recommending policy and procedures for each agency or jurisdiction. It becomes incumbent on you to know the policies and procedures for selection in order to effectively position your firm for inclusion. ◦ In some cases, but not many, they are general contractors able to finance projects. ◦ In other cases, they may be commercial real estate developers who have expanded their practice to offer public-private development services. ◦ However, in most cases, these are third party development entities who have historically offered this method of delivery for projects such as health care or transportation. ◦ The ability to achieve a certain pro forma or return on investment. What does that mean to you from a business development perspective? Simple. Your inclusion on a public-private partnership team can no longer just be based on the depth of your portfolio. Rather, it needs to contribute to a firm’s ability to address one or more "sweet spots" or factors. From their perspective, that’s real value. Public-private partnership projects do not have to result in the pursuit of the precarious. P3 projects are not, however, for the faint of heart. Invest in studying enabling legislation, and policies and procedures, since this knowledge will provide you with the basic guideposts for the process. Engage your leadership team in identifying and understanding the firms who have a track record and history in public-private partnership development and in learning their "sweet spots". As the name implies, a P3 is a partnership. If well thought out and executed, a P3 can lead to a valuable relationship for many years (and projects) to come. Want to learn more about the complicated world of P3? Join PSMJ on Tuesday, July 19 at 1:30 pm for our LIVE webinar, P3 for BD: What Business Development Needs to Know. Join PSMJ consultant, Karen Compton, CPSM for this 90-minute webinar that will help you understand what type(s) of projects can be monetized under this delivery, how to adapt your business development approach in light of P3 delivery, and how to develop your firm’s strategy for pursuing public-private-partnerships. Remember, if you are a PSMJ newsletter subscriber, you can save $100 off the regular webinar price…and if you aren’t already a subscriber, you can purchase a 1-year subscription to our A/E Marketing Journal just in time to enjoy these incredible savings! PSMJ Resources, Inc, the premier management consulting firm for the architecture/ engineering/construction (A/E/C) industry, recently announced the winners of its 2nd Annual Premier Award for Client Satisfaction. The Premier Award, presented in partnership with DesignFacilitator, honors A/E/C firms that provide their clients with top quality communications, impressive performance, and cost effective solutions. • Fentress Architects, an international design firm focusing on sustainable and iconic public architecture. Three of these firms, Burns & McDonnell, Eramosa Engineering, Inc., and Sunrise Engineering, Inc., also won the Premier Award last year, making them back-to-back repeat winners. “In our industry, client satisfaction should always be your #1 priority,” says Frank A. Stasiowski, FAIA, founder and CEO of PSMJ Resources. “The results these winning firms received clearly indicates a passion for client care and a commitment to excellent service delivery. This award proves that these firms are among the best in the industry at keeping their clients happy, and I applaud their commitment to understanding the importance of client satisfaction”. In its second year, the Premier Award participants included several dozen firms from the United States and Canada, many with international offices, making this a truly global competition. The firms ranged in size from 15 to over 3,000 employees, and included architects, engineers, geo-scientists, environmental consultants, and others - creating a diverse cross-section of professional services. In celebration of this achievement, PSMJ Resources will formally recognize the Premier Award winners at their Breakthrough 2012 Conference in Chicago, Illinois October 6-7, 2011. With the economic turbulence of the Recession, many clients are searching for ways to cut their costs. Combined with increased competition for fewer opportunities, many A/E/C firms perceive a decline in client loyalty. In response, many firms are quick to throw in the towel and spend their resources searching for new, replacement clients. While feelings of frustration are natural under these circumstances, losing focus on your key clients will cost you dearly. 1. Spend more face time with your clients. Even if they say they don’t have any work right now, show them that you still value your relationship with them when the well is dry. Take your relationship to a closer level by replacing e-mail communications with telephone conversations, and telephone conversations with face-to-face interactions. 2. Improve your understanding of their business. When your client is under duress, it’s a great time to get them talking about what is happening in their industry and their organization. Talking about it will help to relieve their stress and at the same time enable you to develop a better understanding of forces that drive their organization, understand where opportunities currently exist and will be created in the future, and bond with your client. 3. Find ways to help. While listening to your client, try to identify small things that you and your firm can do to help them deal with their challenges. This can range from helping them connect with others that can benefit their business, to keeping them up to date on market trends, regulatory developments, and other information important to their success. Be a valuable resource to your clients and they will want to keep you nearby. While we promote the concept of firing bad clients, it’s very important to protect your relationships with the good ones. If you’re like most A/E/C firms, a large percentage of your revenue is derived from a small percentage of your clients. Stick by these clients, show them some love, and protect these relationships—especially when the going gets tough. For more tips on how to be a great Principal and lead your firm out of the Recession, come to PSMJ’s A/E/C Principals Bootcamp this fall. Participants will spend two intense days learning from, and networking with other senior leaders and aspiring Principals from around the industry. And with 7 locations across North America, you’re sure to find a Bootcamp near you!